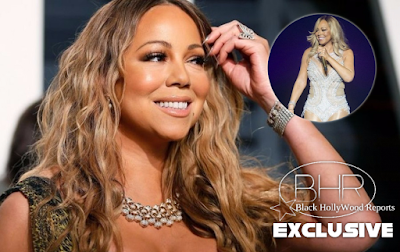 BHR Hollywood Reports.........Mariah Carey is one of music’s most extravagant stars, bringing her signature glitz and glamour to red carpets, magazine covers, and concert stages everywhere. But behind all the glitter is a woman who still struggles with her confidence. During an interview the “Heartbreaker” songstress revealed that she doesn’t see herself as the self-assured diva her fans think she is. background has led her to question her own social standing. Mariah said: ‘Growing up different, being biracial, having the whole thing where I did not know if I fit in … That is why music became such a big part of my life, because it helped me overcome those issues. And Mariah confessed she still questions the sincerity of the people who surround her. She explained, too, that despite her eye-watering career earnings, Mariah can still recall her days as an aspiring star.